It is the year 522 AD and Valhonis Lionaire, the last remaining survivor of a brand of skilled warriors, has been chosen by the king to carryout a quest. In effort to reclaim a kingdom taken over by evil, Valhonis must vanquish the dragon that lies somewhere deep inside the castle. However, this task won’t be easy as he will be faced with many obstacles along the way. Venture through the castle by locating keys that unlocks doors. Fight enemies that lurk around every corner. 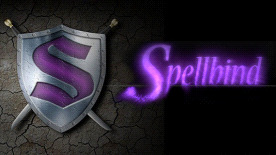 Increase fighting abilities by obtaining spells and new weaponry along the way. Advance further into the castle by solving puzzles and overcoming obstacles.